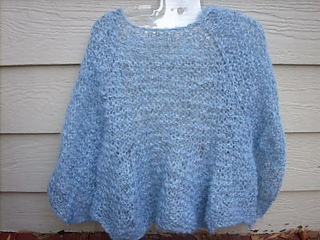 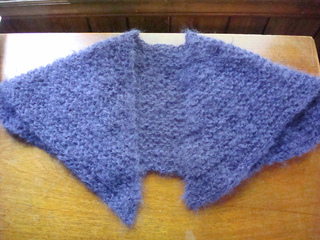 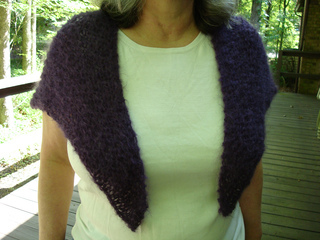 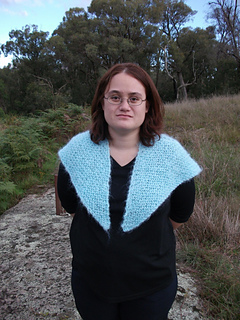 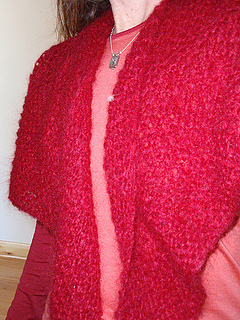 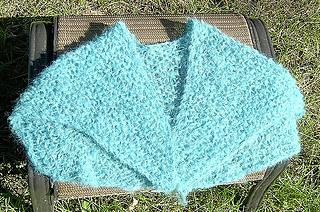 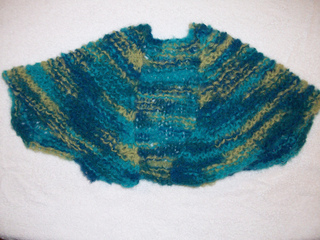 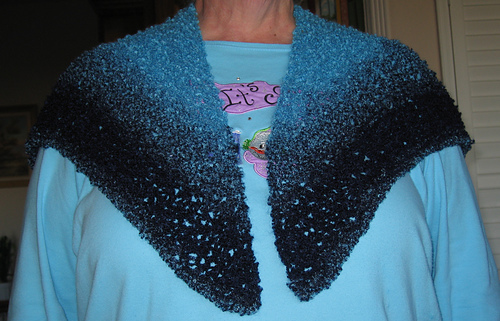 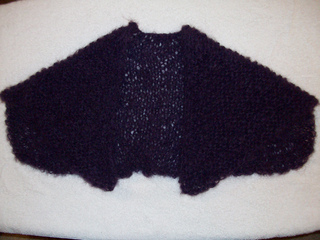 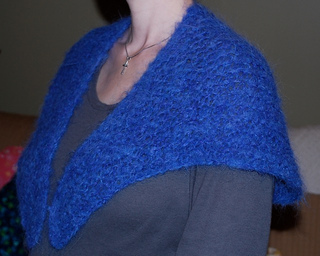 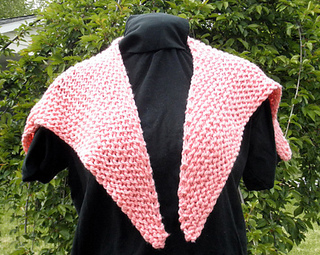 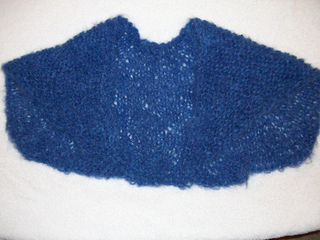 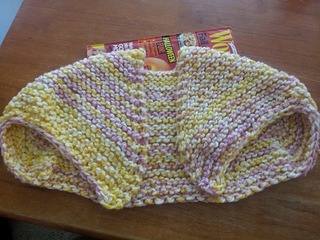 one size fits to 4xl, easily sized up by adding repeats. 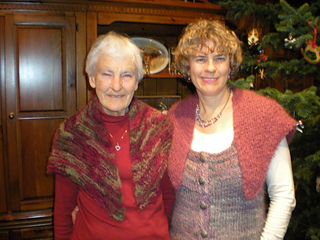 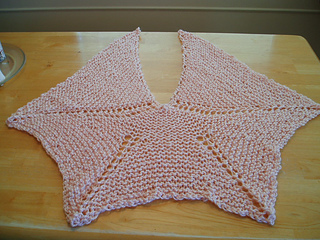 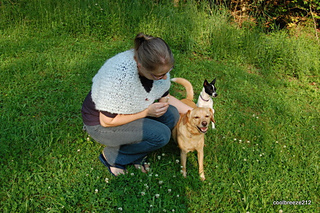 In exchange for downloading this pattern, please consider making a shawl for a friend or stranger who may find it comforting when recovering from injury, illness or going through chemo therapy. 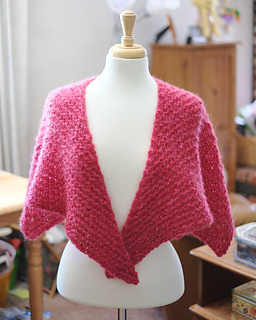 Previously this was a for-sale pattern with $1 donation for each sale going to Susan G. Komen foundation, but after hearing many touching stories of the comfort it gave both knitter and receiver, I wanted to open up the potential for giving by making the pattern free. 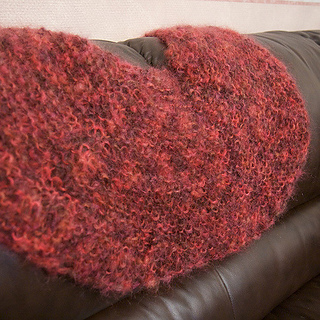 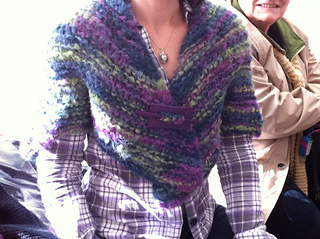 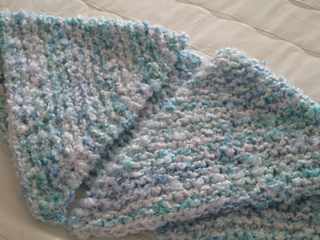 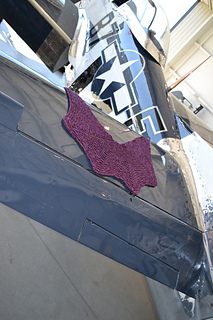 Thanks to all who donated via purchase previously, and thank you to all who might make this pattern as a way to give. 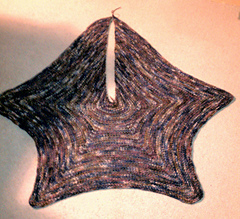 Pattern revised to include two shapes. 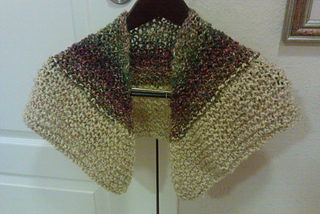 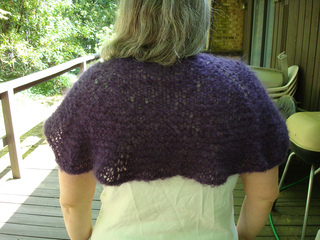 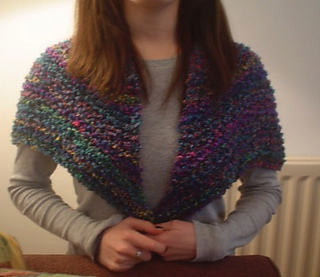 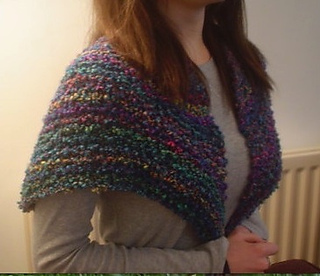 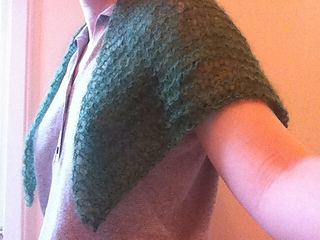 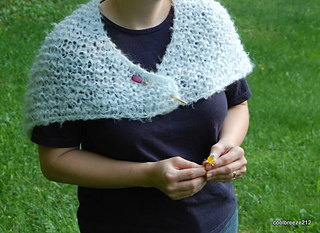 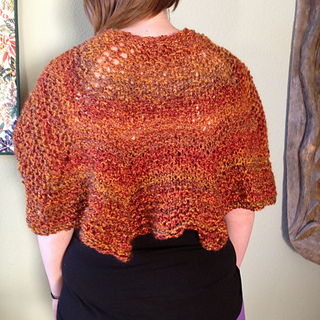 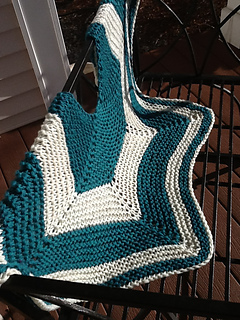 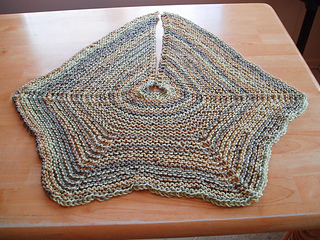 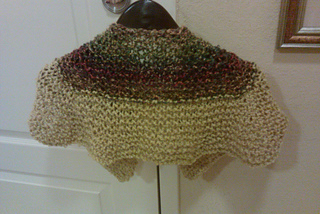 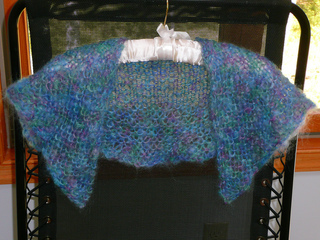 Be sure to try and get close to gauge on this pattern or your shawl will be smaller than you might wish. 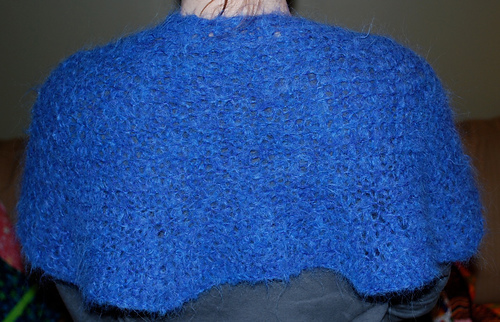 People who have had shoulder injuries, or older folks who are a little frail can be very vulnerable to cold, yet find heavy shoulder coverings uncomfortable. 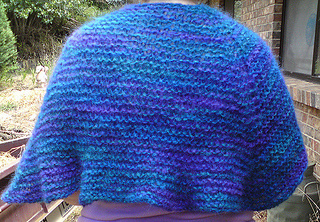 People receiving cancer treatment sometimes feel very chilled, and any extra weight can feel like a burden. 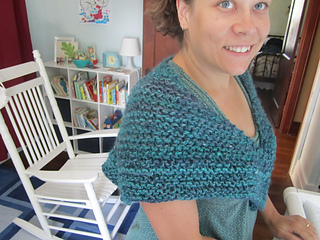 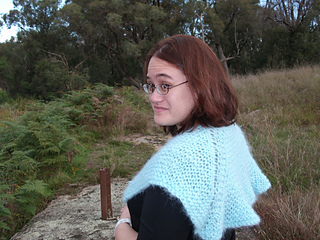 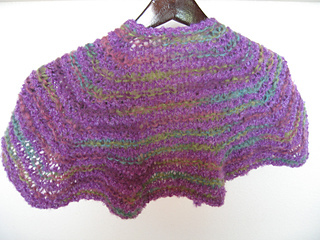 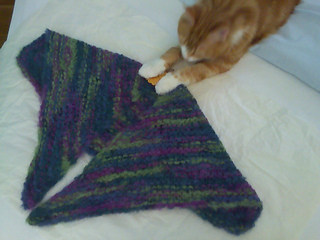 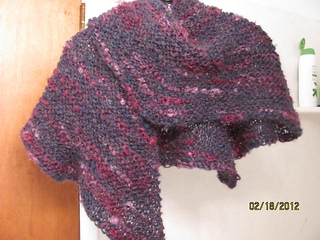 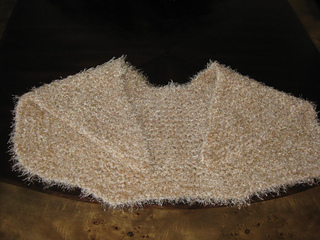 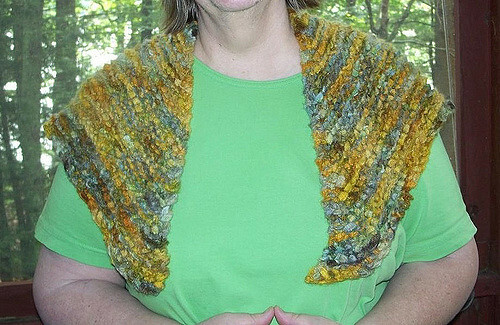 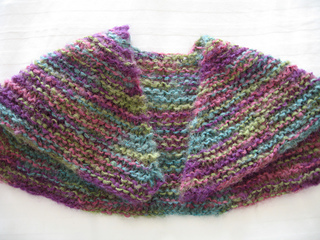 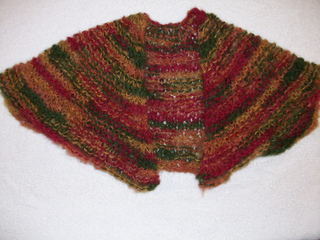 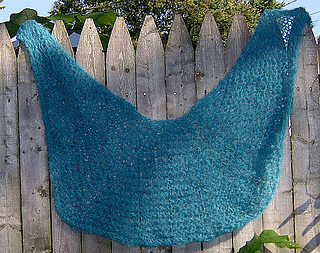 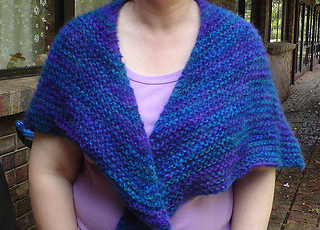 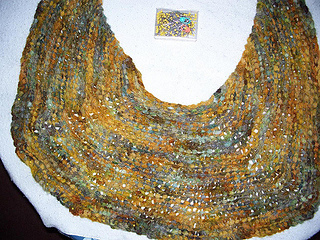 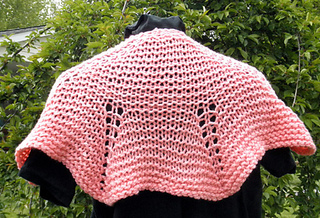 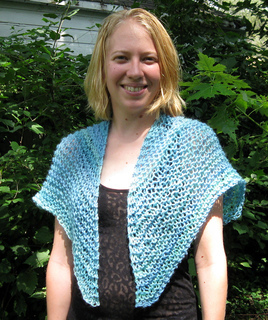 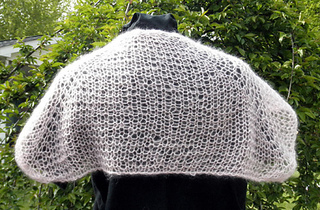 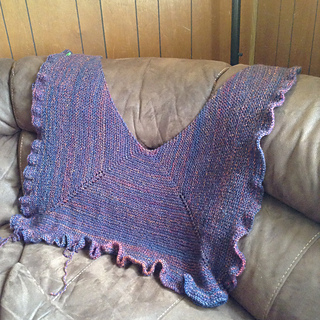 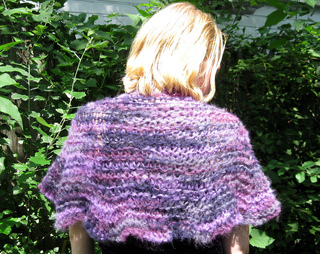 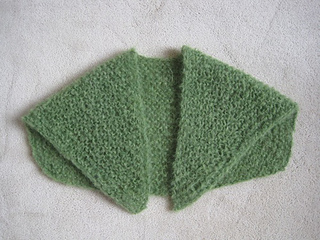 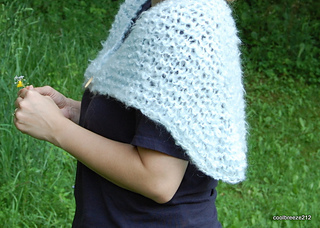 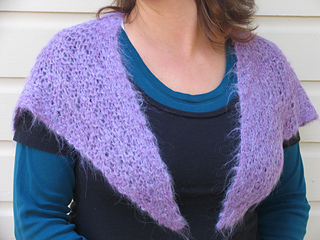 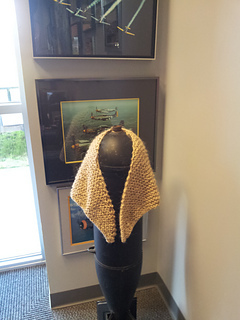 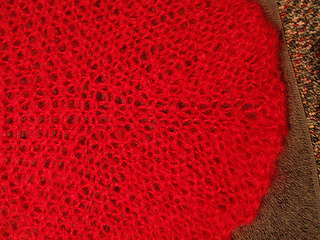 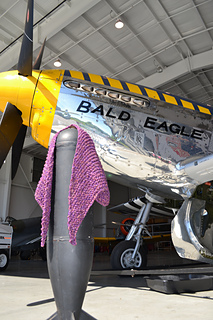 This shawl will keep them warm, with almost no added weight. 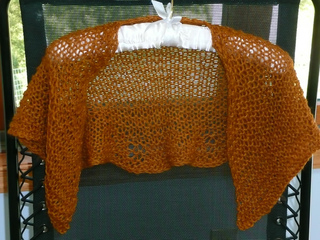 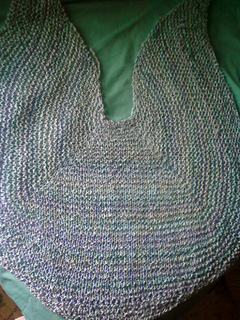 The curved back and neckline means the shawl sits securely on the shoulders, and does not roll or fold uncomfortably against the back when seated. 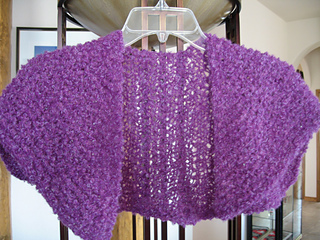 It has the added advantage of being extremely compressible, so it can be smooshed into a small container for travel and will be just as fluffy and warm when it’s taken out for use. 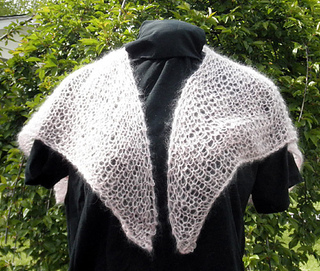 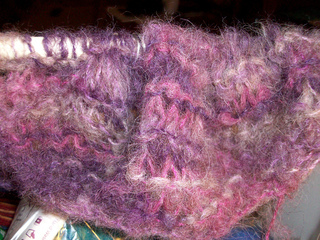 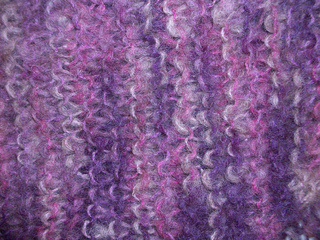 Great for using your own hand spun yarn, as well. 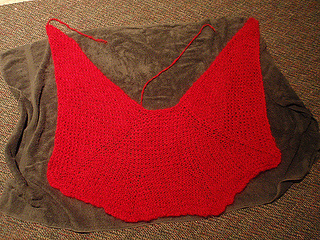 1: skip the first 6 rows, and begin by casting on 17 stitches (otherwise the neck portion will be uncomfortably small) then begin with row 7. 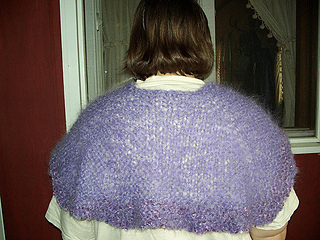 Too long makes it awkward for wheel chair users, so I suggest it be no longer than 13 inches when measured down the spine. 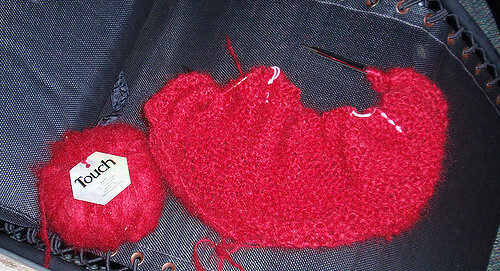 Since it will stretch a bit from its own weight, I usually start my bind off when it measures between 12 1/2 to 12 3/4 inches.